Interdisciplinary Sculpture graduate Trisha Cheeney is fashioning clothing and accessories from used plastic bags. The highly wearable jackets use the salvaged material for both insulation as well as the external fabric, creating a unique look. 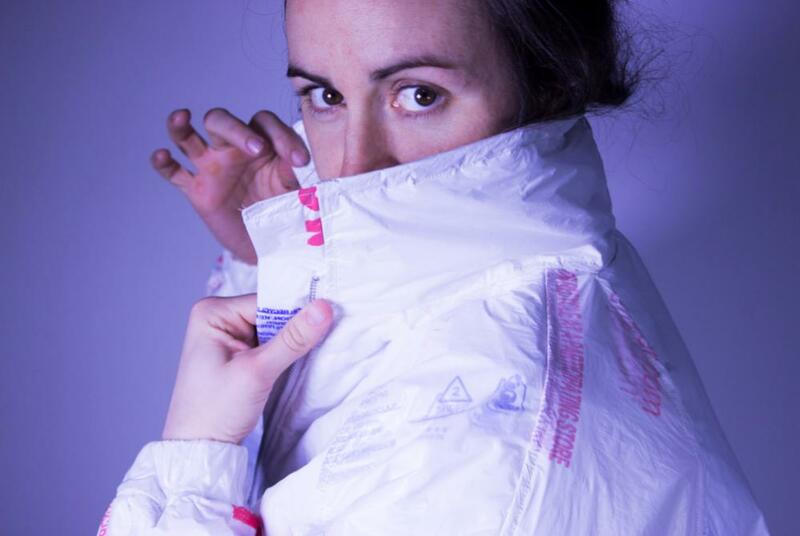 The line, called Pälemer, includes a winter jacket that upcycles a remarkable 214 plastic bags. It takes a whole lot of plastic to achieve the 90s-era bulkiness of the insulated piece. A lighter jacket, the Pälemar windbreaker, is made of up of 90 recycled bags. In both pieces, interesting patterns from the source materials create a distinct look for the outside of the jacket. The collection also has a bookbag (made from 80 bags), which cleverly uses colors to create patterns. Cheeney has created a Kickstarter page for her project, where one can back the campaign to order the winter jacket for $485 and the windbreaker for $435.